​PSG have set Liverpool an asking price of £50m if they are to sign Julian Draxler this summer, according to reports. The German has recently been linked with a move away from the Parc Des Princes after the arrival of high profile names - such as Neymar and Kylian Mbappe - have gradually pushed him out of the side. After making only 17 appearances for the Parisians this season, it is now rumoured that the forward is looking for a new club in a search for more regular first team football, while the club are only too happy to bring in more money from the sale to ease the pressure of FIFA's Financial Fair Play. ​Liverpool are one of a number of clubs who are reportedly monitoring Draxler's precarious situation, ​with Jurgen Klopp a reported fan and millions still in the bank from Philippe Coutinho's January sale to ​Barcelona. Now according to Bild (via ​Calciomercato), PSG have slapped an asking price of £50m on 24-year-old Draxler, who joined the Ligue 1 leaders from ​Bundesliga side Wolfsburg for around €42 million just over a year ago. While Liverpool have shown some sensational form this season - especially in the attacking areas - Klopp is said to want to further strengthen his forward line in the summer in order to add depth and mount a closer title challenge next season. 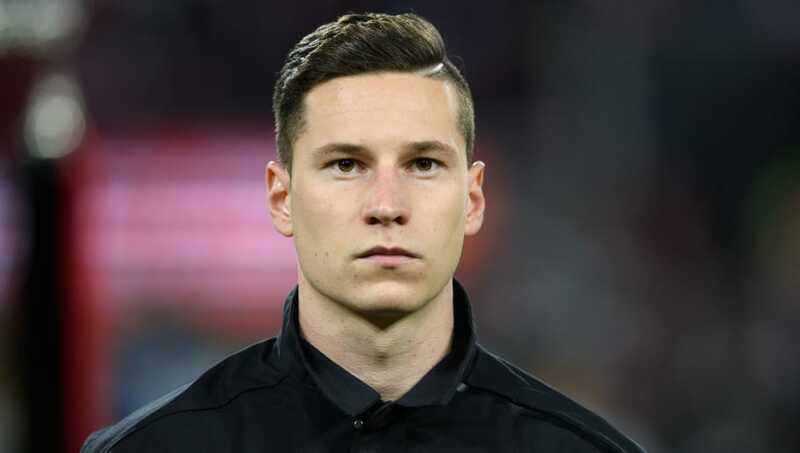 He is said to be a big admirer of Draxler who is set to feature heavily in this summer's World Cup for his native Germany, where a number of Europe's top clubs will be keeping a close eye on his performances.